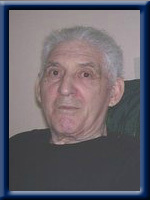 WEAVER – Gordon James, 78, of Liverpool, passed away peacefully in Queens General Hospital, Liverpool on June 29th, 2011. Born in Blue Rocks, he was a son of the late Currie and Leana (Tanner) Weaver. Gordon was a fisherman all his life and in his spare time enjoyed working around his yard and doing a bit of gardening. He is survived by his wife, Loretta (Young); sons: David (Barbara) of Milton; Stephen of Liverpool and Shawn (Sara Everett) of Lower Sackville. 4 grandchildren and 2 great-grandchildren. Sisters Joanne (Mervyn) Shauffenburg, Helen (Norman) Greek and Ina (Nelson) Tanner all of Lunenburg. Brother Rockwell (Rose) of Lunenburg. Brother-in-law Paul Allen of Lunenburg. He was predeceased by his daughter Valerie Conrad and son Kevin. Sister Charlotte and brothers Donny and infant David. Our thoughts are with you all at this difficult time. Please accept our sincere sympathy. Please accept our sincere sympathy in the loss of your loved one. Our thoughts and prayers are with you at this very sad time. David, barb, brittany, and matt, Please except our heart felt symathy he well be sadley missed may god be with you all. Thinking of you at this difficult time. I just want to pass on what a wonderful person Gordon was. It was a pleasure to care for him during his time at QGH. Gordon always had a smile and a positive outlook,no matter what the day dealt him. One thing is certain…there was always a smile when he spoke of his family. You all meant the world to him. Always keep that in your heart. We were very sorry to hear about your dad.Please know that you are in our thoughts.Cherish your memories as they will help you through this difficult time.Your dad is no longer suffering,may he R.I.P. David and Family, My deepest sympathy and condolences on the loss of your father. We are very saddened to hear of Gorden’s passing. He will won’t be suffering anymore. Our thoughts are with all of you. We are saddened to hear of Gorden’s passing. Our thoughts are with you, Loretta and family. He will suffer no longer. We are saddened to hear of Gorden’s passing. Our thoughts are with you Loretta and families. He will suffer no longer. Please accept our sympathies. David and Family. We are so sorry to hear of your father’s passing. Think of you all. Our sincere sympathy on the passing of Gordon.We will keep you all in our throughts and prayers. Please accept our sincere condolences on Gordon’s passing. Had we known in time, we would have been there on Monday. Loretta, Shawn, David, Stephen and families. I was so sorry to hear about your loss. Gordon, your dad was a very kind man. I always remember the generous loaves of fresh bread and veges from the garden. My thoughts are with you during this difficult time. My family sends their condolences as well. Steve and Family so very sorry for your loss thinking of you….♥ ♥.always and forvever…. Dave, Barb and Family: We offer our deepest condolences. Our thoughts and prayers are with you at this sad and difficult time.